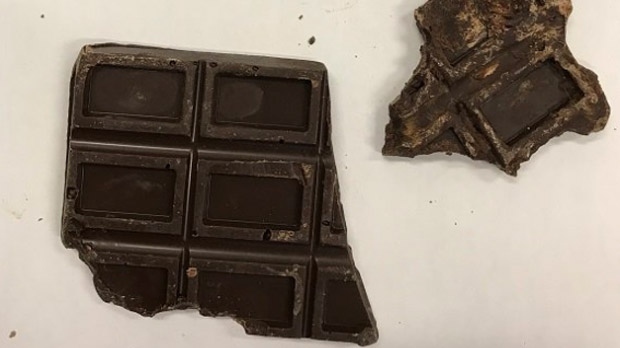 Two children from Brandon were taken to hospital on Saturday afternoon after consuming pieces of a cannabis-infused chocolate bar. The kids, aged five and two discovered the chocolate in the kitchen, Brandon Police Service Staff Sgt. Brian Partridge said. The incident happened at approximately 4:30 p.m..
“My understanding it was in a cabinet over the fridge, and normally that would be a pretty safe place to keep things that were not for kids,” Partridge said. They were set to be notified if the children’s conditions changed, so they’re assuming they’re okay, he said. No charges will be laid, but Child and Family Services has been notified.